This clip was a test of a few things at once; Bandicam's 'External Codec' setting using x264 (H.264/AVC) available in version 1.8.2 and higher, Bandicam's automatic Logo overlay with transparency (our logo, lower right corner), BFP4F's one-day-only 'Starter Pack' 870 Combat Shotgun, and the uploading of a clip directly from the recorded file/output to YouTube. The first of many recordings testing out Bandicam's usage of other codecs installed in a system (called 'External Codecs' in the program), this clip was recorded using the x264 Advanced Video Coding codec. Not an editing-friendly codec (it is slower to seek/move between sections within an editing application and can have artifacting issues), it still manages to work well with little effect on framerate, with the proper settings. The Constant Rate Factor quality setting of 23, recording at 1920x1080, gave an output bitrate of about 20000kbps, resulting in a file size that uses about 150MB per minute of recording (a half hour of recording at this resolution and bitrate would take up about 4.5GB). The 'VeryFast' Preset in x264 auto-selects a few things, such as 1 reference frame per GOP, no Trellis encoding, no Deblocking, no CABAC and no B-type frames in the original recording/output. I suggest the faster Presets, as the slower ones compress far too much on-the-fly and create lag in the game and in the recording - more on this will come in a future article*. The CRF set at 23 allowed some 'breathing room' for recording and compressing on the fly (it is a medium quality setting, a CRF of 18 being more of a 'standard-quality' MPEG-4 setting), it also saved a little bit of disk space as this just-over-two-minute file was only about 300MB. While still watchable and acceptable in quality, the absence of deblocking (to hide macroblocks and other compression artifacts) and the high compression of flat/low-detail areas is visible, however. It is suggested to use a higher bitrate/rate control factor [if the system can handle it], even though more diskspace will be utilized. Youtube seems to have recompressed it as well, as even at the '1080p' Youtube setting, some quality has been lost from the original uploaded file. Still, it seems acceptable for a medium-to-low quality recording setting. 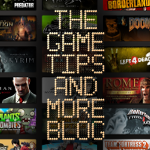 Last edited by GameTipsAndMore Blog on Fri Jun 28, 2013 12:31 am, edited 1 time in total. Gleedaniel13 wrote: I think your test was successful as it has a clear video for my computers. Congratulations for doing it so nice. So, if this is just a test, when can we see the actual one? Thanks! I'm glad you enjoyed it (it's mostly Bandicam doing all the work, haha). I'm sorry if I wasn't totally clear, what I meant was that the recording/video itself was a test of Bandicam's "External Codec" setting, using x264 as the recording codec (which was a 'new feature' in Bandicam at the time). It also was a test of a shotgun in the game that I had 'won' temporarily (I hadn't used one before in that game). Lastly, it was a test of uploading a video recorded by Bandicam directly to YouTube (no editing, logo additions, etc. just a straight upload of the file that Bandicam produced). That's what I meant when I said, "This clip was a test of a few things at once..". It's hard, with a limited amount of space to type a title, to say all of that in one go, but I hope this has cleared things up. Thanks again and I'm glad you enjoyed it, that's why I do all of this. Take care.